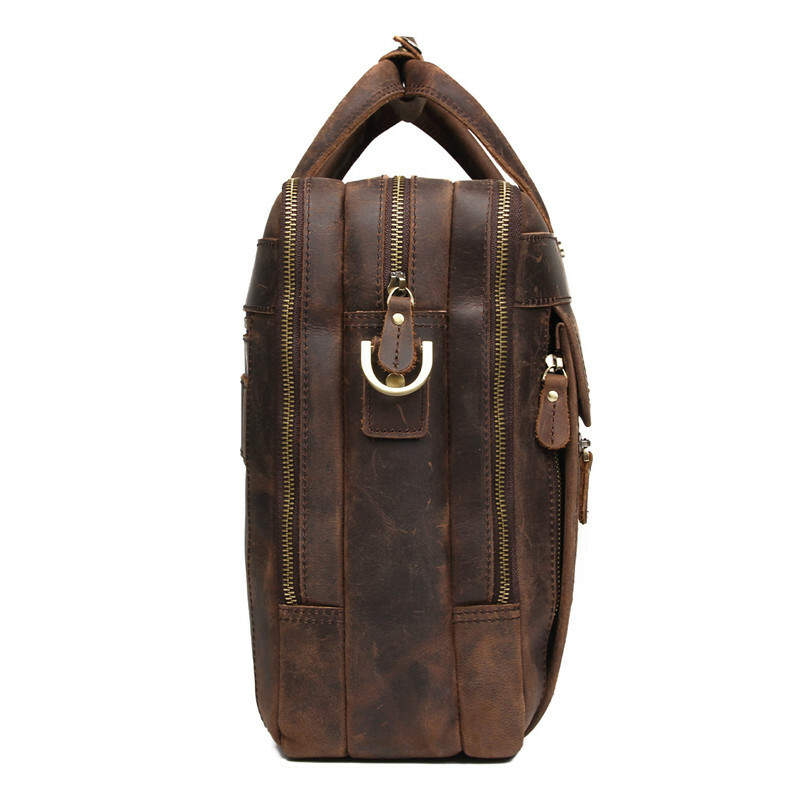 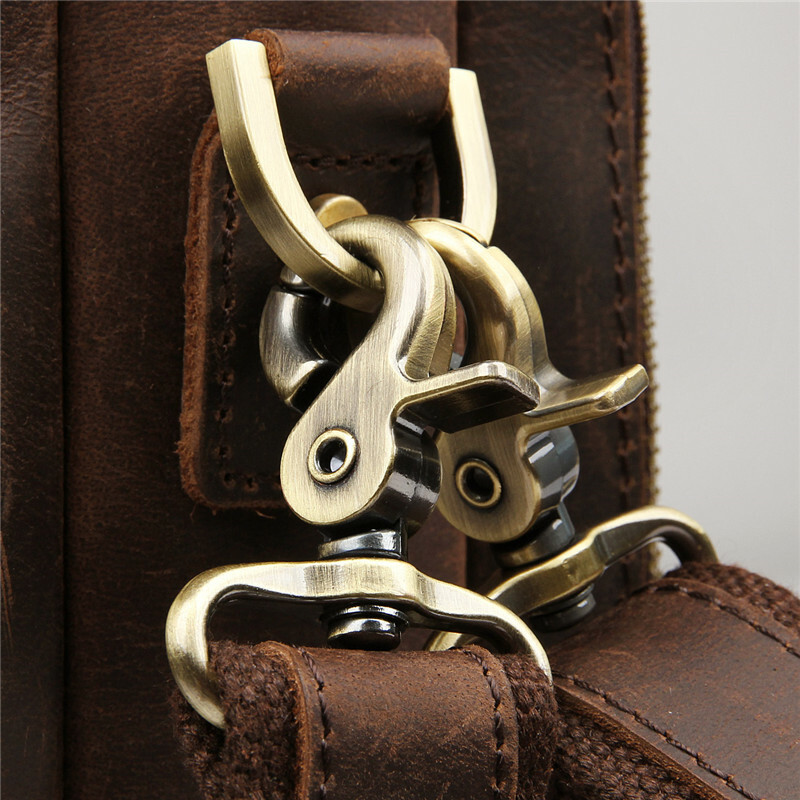 Made of Durable Crazy Horse Genuine Leather. 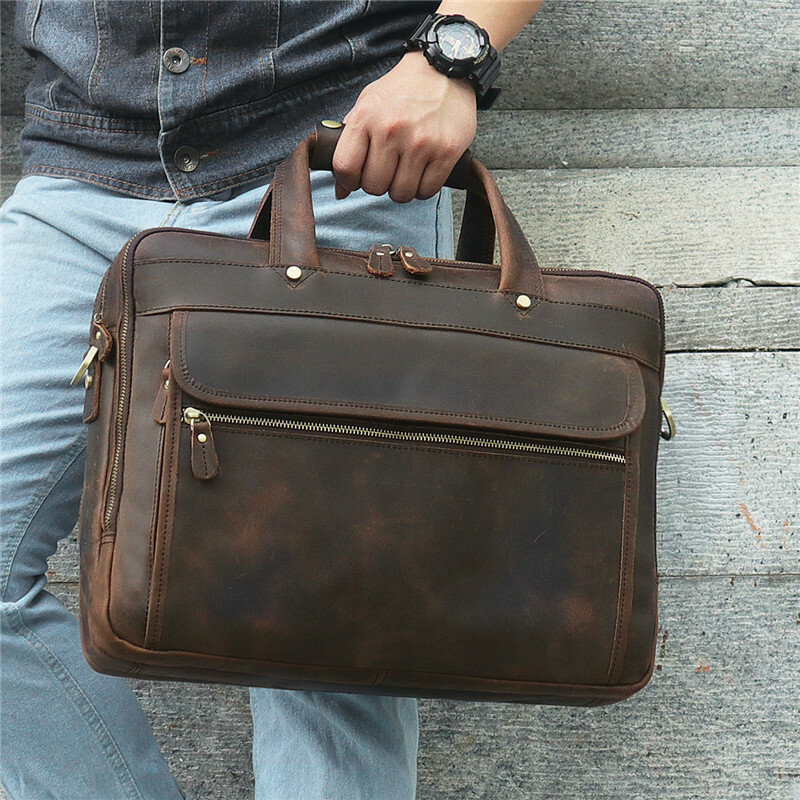 The perfect accessory for your casual outings. 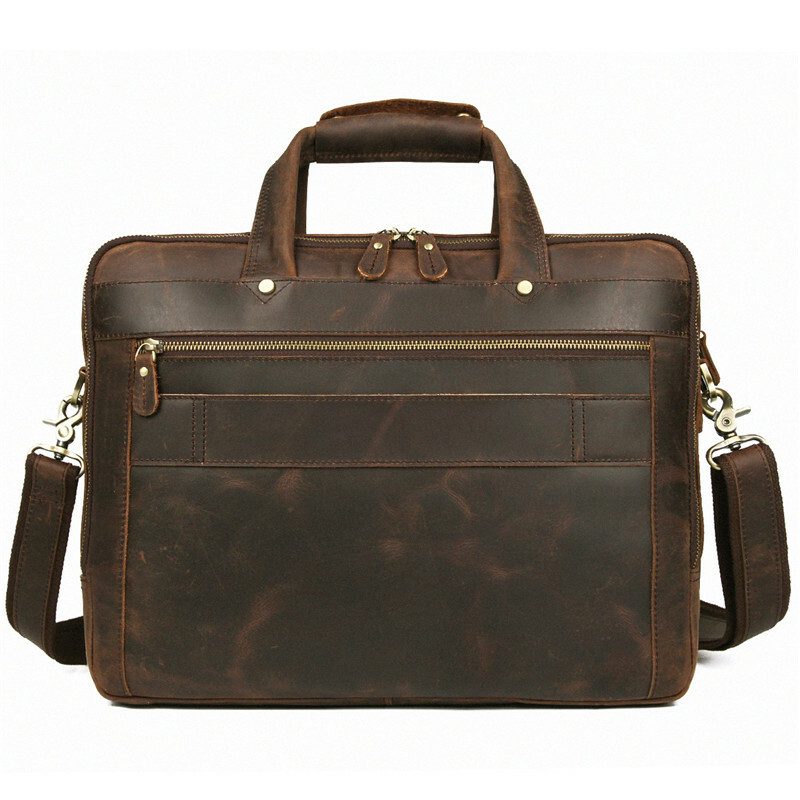 Dimensions: 15.7(L)*5.1(W)*11.8(H) inches /40(L)*13(W)*30(H) cm. 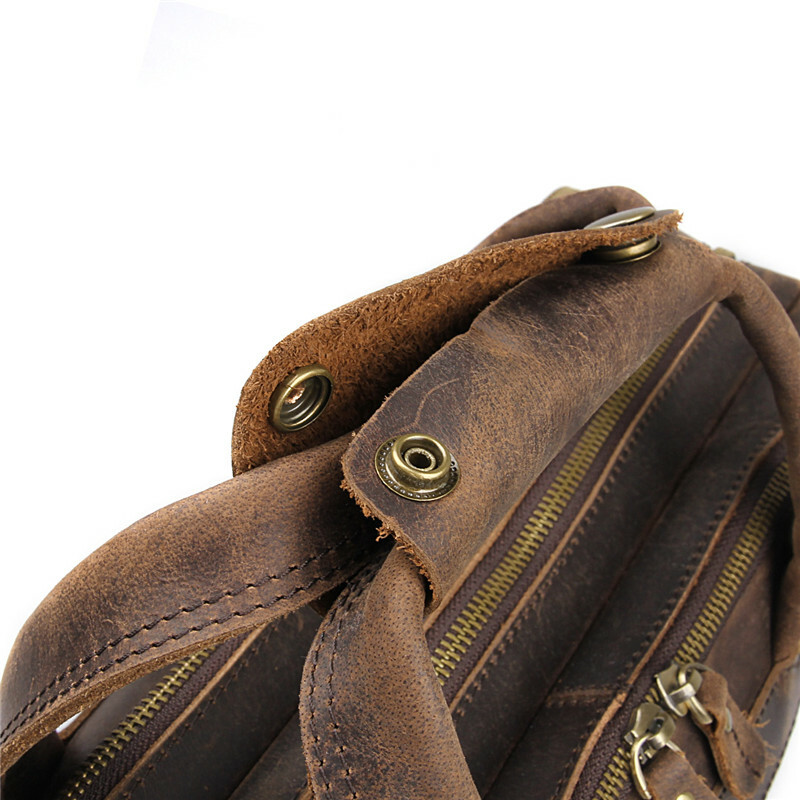 Item weight: 4lb/1.8kg. 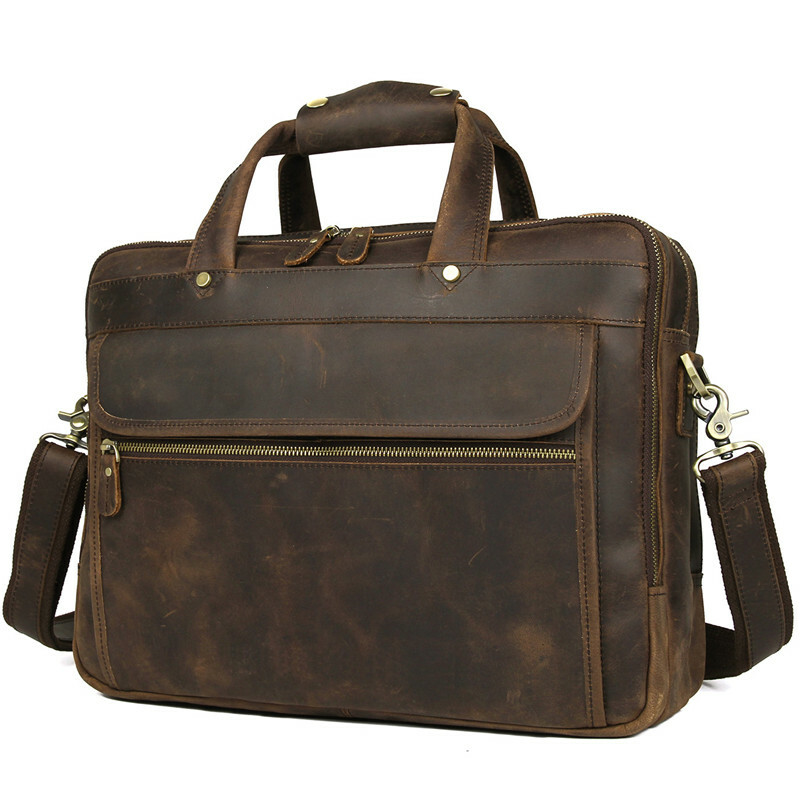 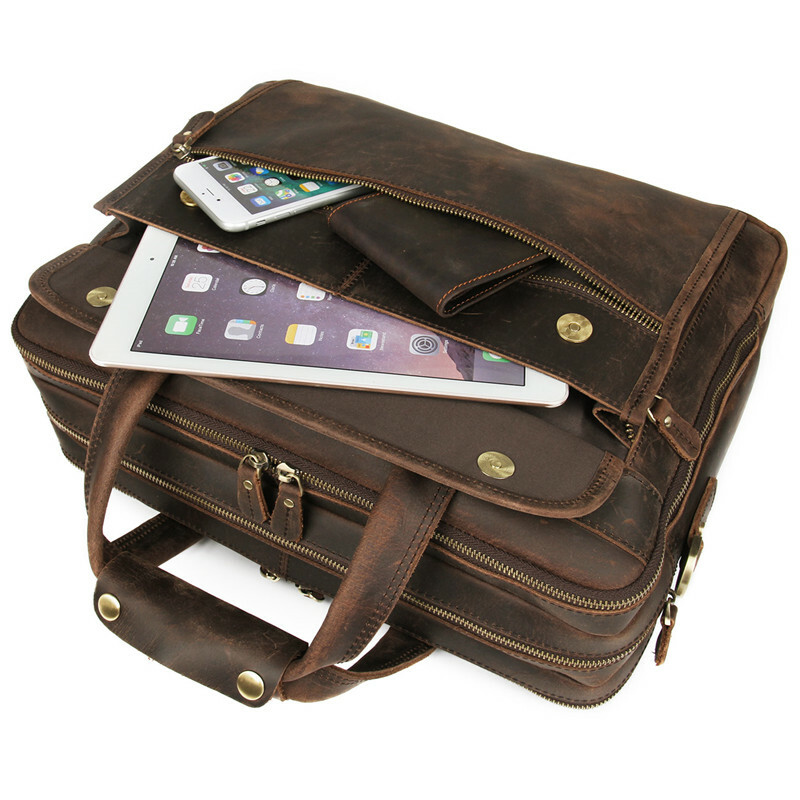 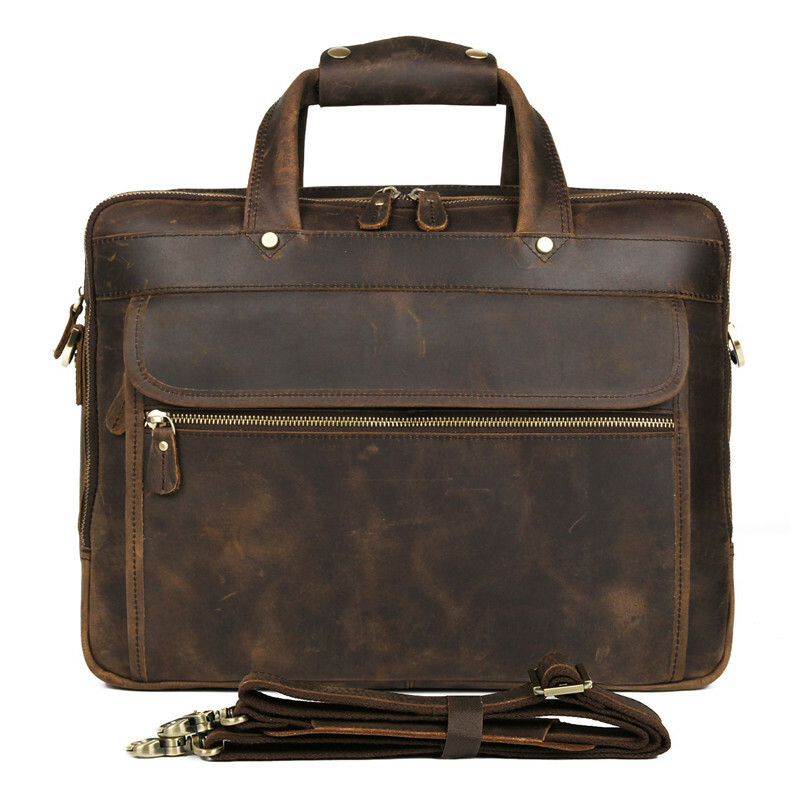 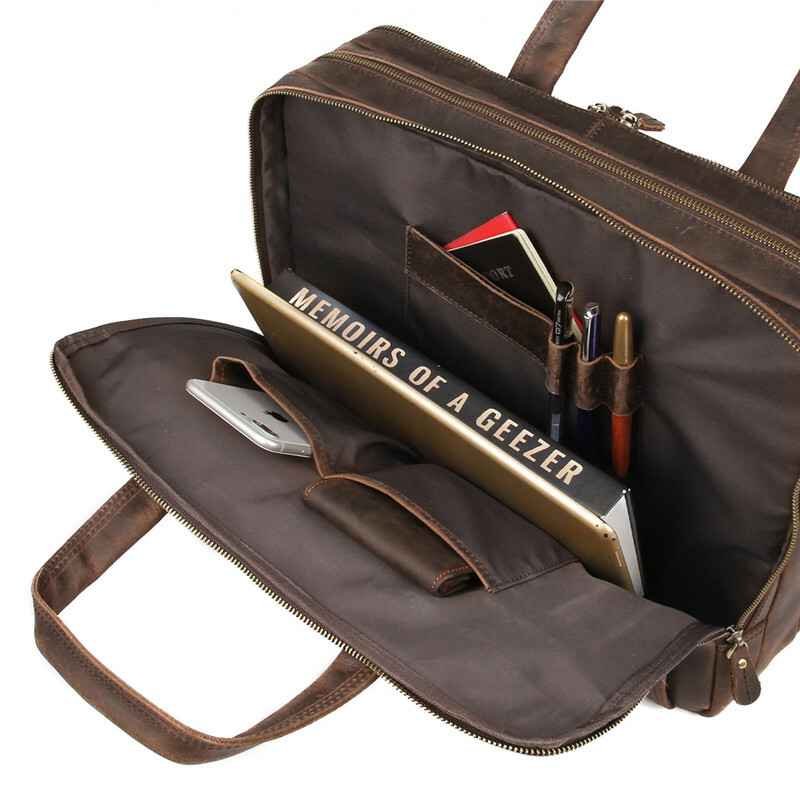 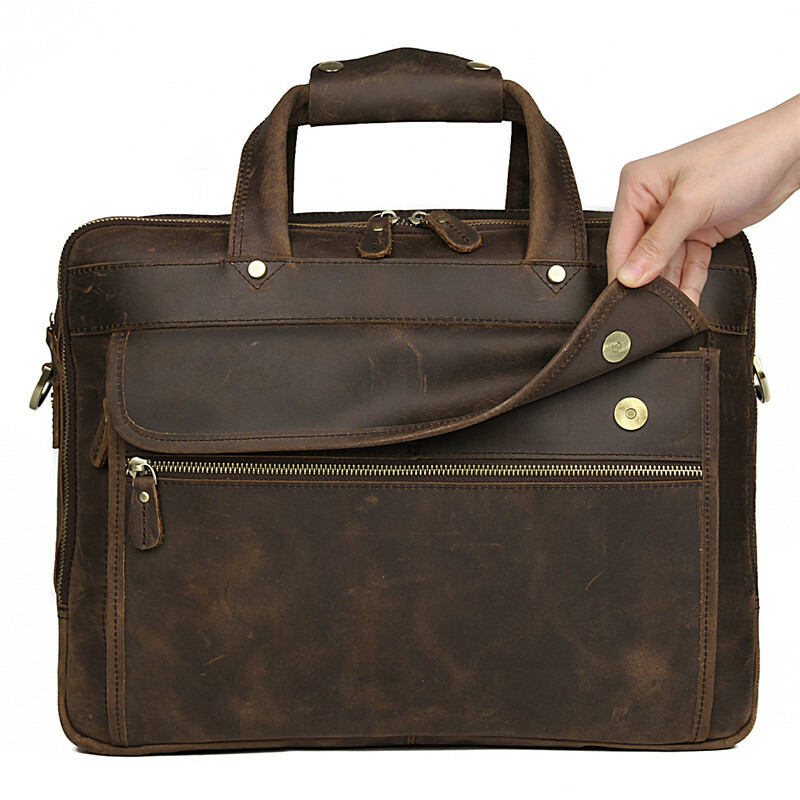 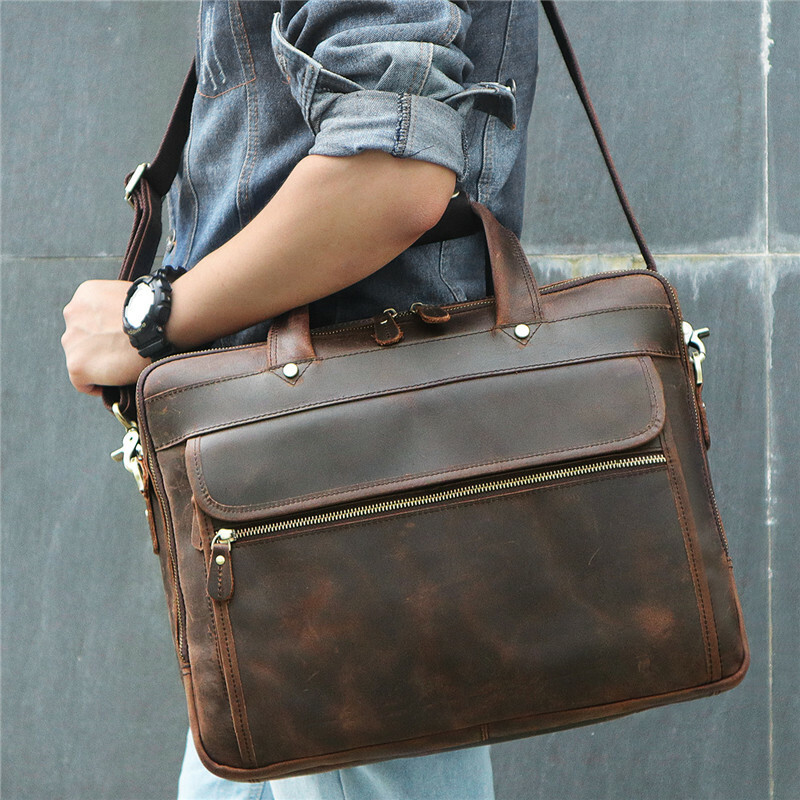 Wear it as a business briefcase, messenger, shoulder bag and handbag. 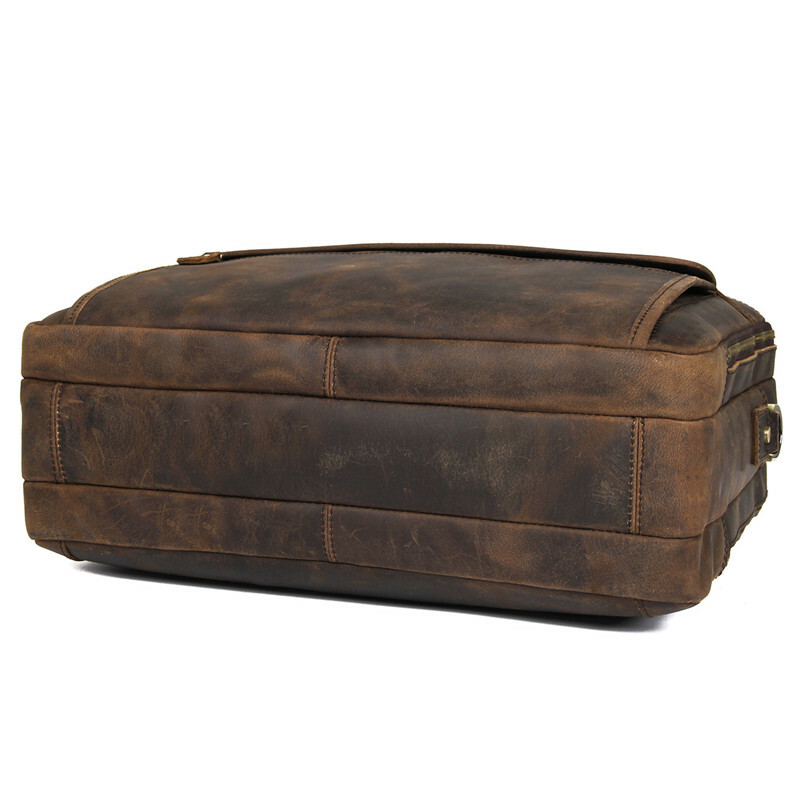 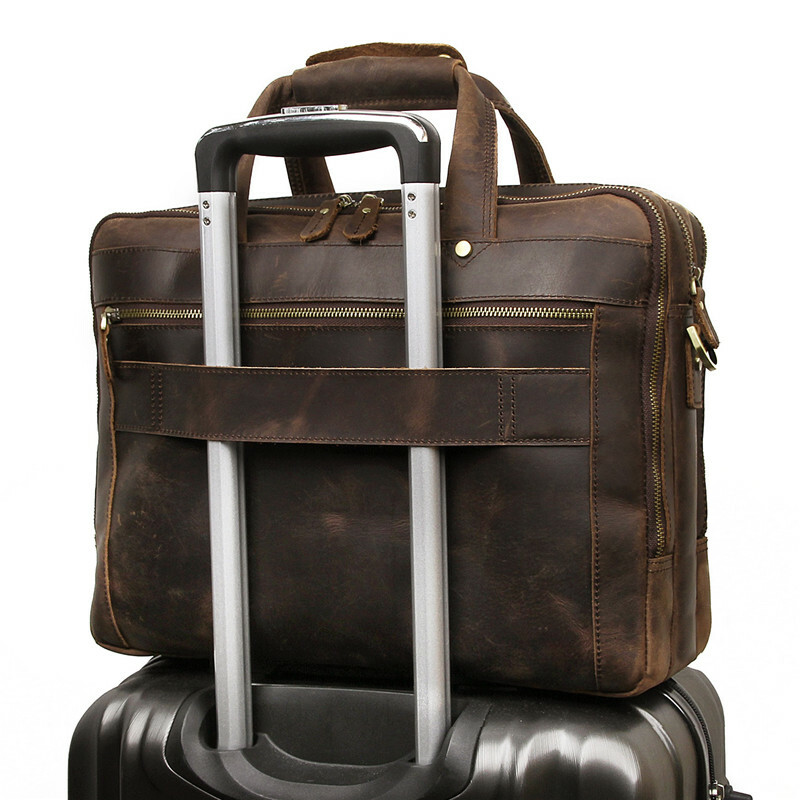 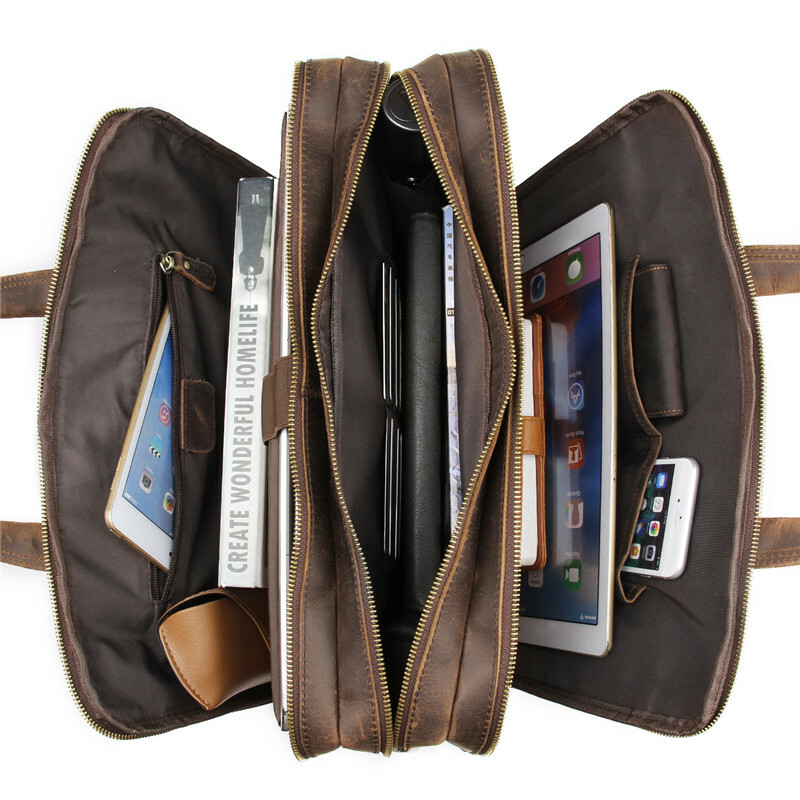 The front and back compartment fits for 15.6'' laptop, the middle compartment fits for 15.6'' laptop. 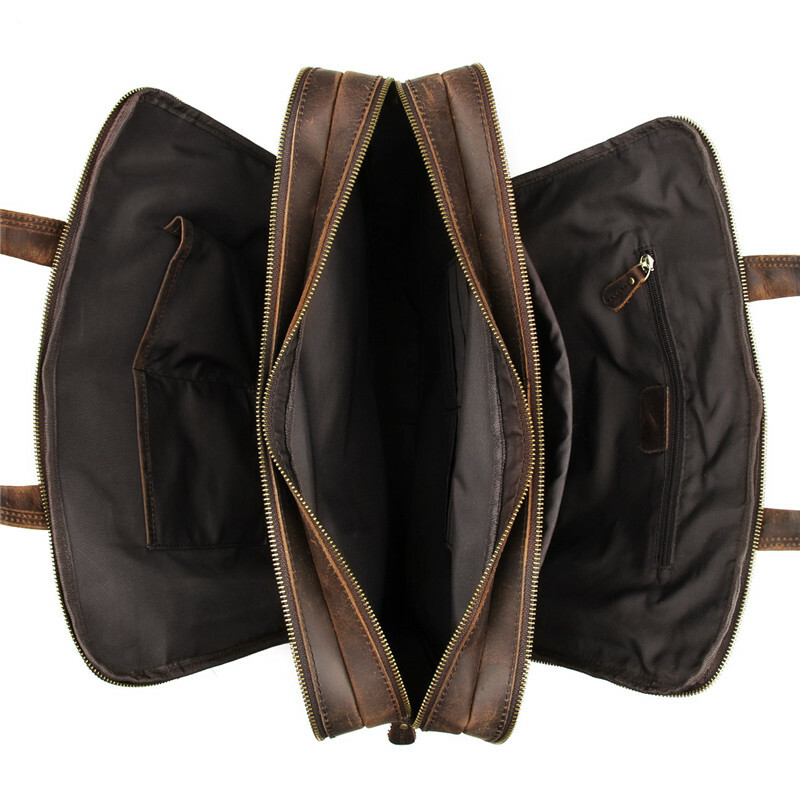 Two big pockets organization for all your daily needs.